The journey to HIPAA compliance and security goes much further than a one-time risk assessment. The cost of a healthcare data breach is $408 per record — higher than any other industry. The Managed Compliance Services Journey. Your journey to HIPAA Compliance is an ongoing journey. It begins with a Risk Analysis, the foundation of any HIPAA Compliance Plan. It continues by gathering necessary tools and implementing specific processes that monitor, manage and mitigate both internal and external threats across today’s tumultuous cybersecurity landscape. Any healthcare organization is at risk, regardless of size. According to HealthIT Security, “78 percent of healthcare providers reported that they experienced a healthcare ransomware or malware attack in 2017.” Given the threat of attack, and the monetary losses associated with HIPAA non-compliance fines or data breach, what is your organization waiting for? A Managed Compliance Services Agreement helps assure HIPAA Compliance today and into the future. 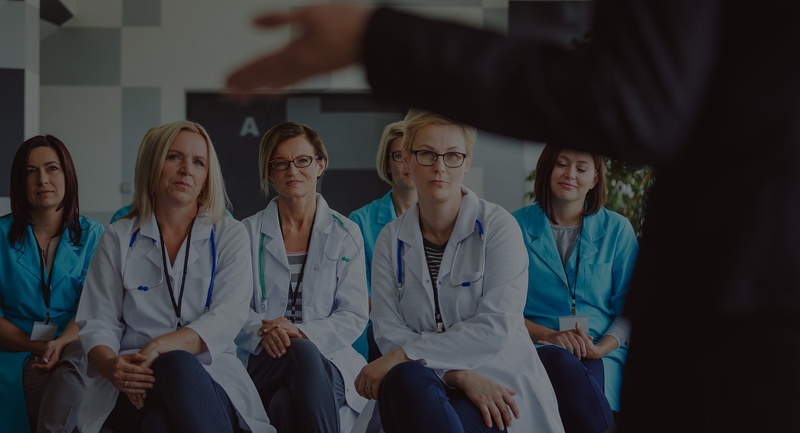 Through a thorough assessment process, visual intelligence and reporting, and continued workforce education, your healthcare organization can trek forward confidently through your HIPAA Compliance journey ahead. The Managed Compliance Services Framework. MCS Best Practices: Identifying your assets, protecting your assets, detecting incidents, responding with a plan, and recovering normal operations. 1. If you engage 3rd party suppliers, do you know if they're complying with HIPAA per your Business Associate Agreement? Covered entities must ensure that they have a current HIPAA business associate agreement in place with each of their partners to maintain PHI security and overall HIPAA compliance. 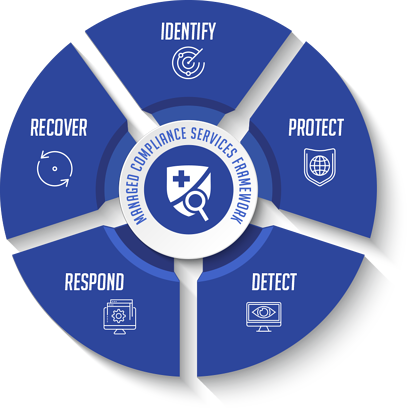 A Security Risk Analysis will uncover details regarding the compliance of outside vendor partnerships, as well as demonstrate your organization’s compliance with the required regulatory requirements of HIPAA and HITECH. 2. If a data breach occurs, can you demonstrate appropriate security controls, policies and procedures were in place? Should a data breach occur, the HIPAA Breach Notification Rule requires all healthcare organizations that experience an ePHI security breach to adhere to a strict breach notification process. Access to your compliance portal will demonstrate your organization’s adherence to appropriate policies and procedures, as well as provide an ongoing vulnerability scan to mitigate and report future security threats. 3. Are you aware of all assets connected to your network (wired and wireless) including medical devices and their vulnerabilities? The Office of Civil Rights (OCR) requires that covered entities identify vulnerabilities to ePHI that is collected, stored, processed or transmitted. A Technical Vulnerability Assessment identifies both internal and external security gaps, as well as provides a thorough wireless assessment to identify any and all technical security weak points. 4. Do you have ongoing HIPAA and security awareness training in your organization? Employee negligence remains a main security concern for healthcare executives. The online and onsite training available through a Managed Compliance Services program offers organization-wide communication methods and training tools, so employees inside your organization can confidently navigate their workday utilizing best practices. Are you ready to begin your Managed Compliance Services Journey? Download our FREE eBook. The journey starts here. 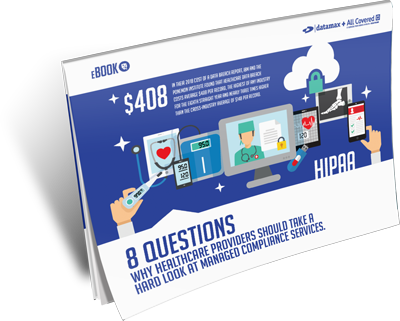 Our FREE eBook poses eight crucial questions to help your healthcare organization assess your current strategies and challenges, as well as determine whether it's time to take a hard look at Managed Compliance Services. What's your next step toward long-term compliance and security? CLICK on the following link for 8 questions you should ask yourself. Note: Various references and content within are from Konica Minolta and All Covered Brochures: Risk Management Program Through HIPAA Consulting Services From Konica Minolta, Healthcare IT Services And Solutions and Presentation: HIPAA Risk Assessment. Get started with Managed Compliance Services today!